GOMBAK, 10 November, 2017: A pristine exhibition called “Hikayat: Folktales of Malaysia” held in campus from 6 to 9 November recently featured local folklore of Malaysia through large scale murals on canvas. 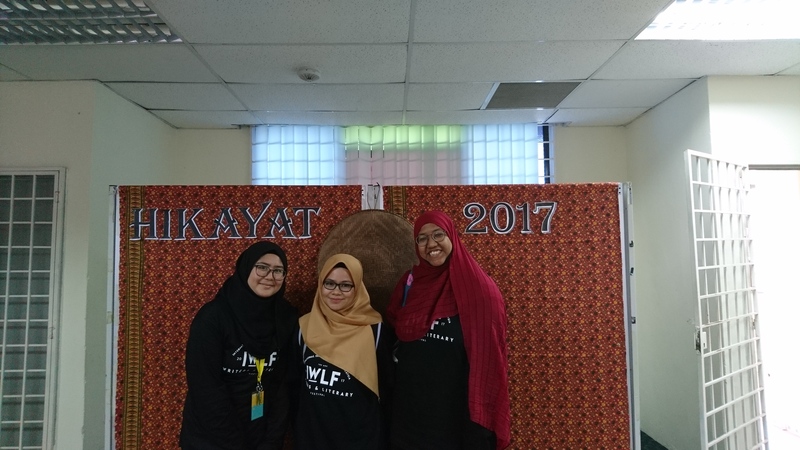 The event was organised by English Literature Society (ELITS) in conjunction with the “IIUM Writers and Literary Festival 2017”. Among 24 pieces of folktales of Malaysia on display at the HS Seminar Room were Masrui, Hang Tuah, The Vampire King, Princess Saadong, Naga Tasik Sini and Kumang, apart from the others. These collection of murals were obtained from reliable sources with help from local suppliers. The exhibition was aimed to promote Malaysian literary pieces and to encourage the youth to appreciate their national identity. They also promoted the idea of exposing youngsters to know more of their culture and to reveal the inner thinking of writers. Some 50 students visited the exhibition to benefit from this non-formal interactive learning. A video montage produced by the committee providing background on the exhibition and literary tradition of Malaysia was also shown to visitors.